Here is the ultimate guide to truly understanding the Dave Ramsey baby steps he talks about in his best selling book, Total Money Makeover. Learn how to build an emergency fund, get out of debt, invest, and start to gain financial independence. I’m always asked about how to start or where to start if you are struggling with your finances. If you have a mountain of credit card or student loan debt or a slew of other financial problems, it can be very intimidating where to start. That is why I always recommend that people start with Dave Ramsey. I’m a huge Dave Ramsey fan and his book, The Total Money Makeover. It is one of my top ten personal finance books that everyone should read. It should be on everyone’s nightstand. So, it is a great place to start. While there are many great ways or ideas out there, Dave Ramsey’s Total Money Makeover is one of the best ways to save your money, build an emergency fund, get rid of debt, and start to take control of your finances. Dave Ramsey is a nationally known thanks to his books, nationally syndicated radio show, and many appearances on national television. The Total Money Makeover consists of Dave Ramsey’s seven-step plan to build an emergency fund, get out of debt, invest, and start to gain financial independence. Dave Ramsey said in his book that that got the idea of naming his program with baby steps from the movie, “What About Bob?”. “What About Bob?” is a comedy with Bill Murray where Bob torments his psychiatrist who tries to help him with his OCD. Like an alcoholic, his doctor tells him to take baby steps and get through his problems in small bites, one day at a time. So, throughout the entire movie, Bob walks around talking about baby steps. And, Dave Ramsey’s popular system was born as well out of that movie. Dave Ramsey baby steps can help you take control of your finances. Dave Ramsey has seven baby steps. Below is a little brief synopsis of Dave Ramsey’s seven baby steps to financial freedom from his book, The Total Money Makeover. Over the next few days, I’ll break each one down and talk about each of the Dave Ramsey Baby Steps in more depth. The very first of the Dave Ramsey Baby Steps is to get a $1,000 emergency fund in the bank. This step is critical to help you to stop adding to your debt. If you do not start this way, you may still fall back on using credit cards. So, in baby step one, sell things or save up as fast as possible to get that first $1,000 in the bank. An emergency fund makes sure you have money to cover these circumstances and stops you from getting into debt. In order to keep you from going further into debt, you need to set up your starter emergency fund of $1,000 in the bank as fast as you can. So, how do you find that $1,000 when your budget is already probably super tight or even resulting in a negative cash flow every month? One of the easiest ways is to sell something. This may not be a very popular piece of advice, but selling something is one of the easiest ways to get out of financial trouble. You will see it also in the next baby step when many times you can get out from under your debts, such as a car payment, by selling the asset. Do you have a car you can sell to raise the cash? Do you have some shares of stock that you can sell? What books, DVDs, CDs, textbooks, and other things that you can sell on a website such as Half.com or eBay? You may want to consider having a yard sale. This is a quick way to build up your cash reserves to get that quick $1,000 Dave Ramsey emergency fund in your bank. Will $1,000 solve all of your financial problems? Of course, it won’t, but it will start you off on the right track. It will keep you from digging a bigger hole for your finances. You do not want to continue to add to your debt by continuing to rely on your credit cards. This $1,000 is your starter emergency fund to keep you from added to however much debt you have. Do not save more than that $1,000. This $1,000 is your starter emergency fund to keep you from added to however much debt you have. Do not save more than that $1,000. As you will see in Baby Step 2, you will be using anything extra above that $1,000 for your debt snowball. Getting that first $1,000 in the bank is Dave Ramsey’s Baby Step 1. It’s the first thing you should do. Why Only $1,000 In The Bank? Think back to every “emergency” that you have ever had in your life. I used the quotes because we tend to think that everything is an emergency when money is tight in our lives, but in reality, very few things are truly emergencies. Confusing wants with needs is one of the biggest errors that we make and one reason that you are probably in debt to start with. But, when you think about all of the true emergencies that crop up, having $1,000 readily available will cover pretty much all of them. That’s why it is Baby Step 1. There are very few emergencies that will cost more than that much, and those emergencies that do can often be put on installments and lumped into all of the other debts that you tackle with your debt snowball in the next baby step. Have you ever tried to get out of debt? I mean really tried. It is incredibly hard. Many people find themselves trying and slipping back in their old ways. You relapse for many reasons such as not changing the habits that got you into debt in the first place and having to go back to your credit cards when emergencies and Murphy crops back up in your life. Having a $1,000 emergency fund in place before you start to tackle your debt will help you from having to go back to your credit cards for a bailout. When a true emergency comes up, and we all know they will, you should have a buffer of cash sitting readily available simply in a savings account earning next to nothing in interest at your disposal. Is a $1,000 emergency fund big enough to replace the transmission in your car? Is it big enough to foot the hospital bills after an extended stay? No, $1,000 will not be enough to pay for these big items, but it will be perfect for 99% of all the emergencies that you will face while starting out paying off your debt with The Total Money Makeover. Think back to all the emergencies that you have had or the things that you have needed to put on your credit card. Very few of them ever cost more than $1,000. One of the biggest tricks though is truly understanding what constitutes an emergency. Far too many of us think that everything is an emergency. We are not honest with ourselves, and that is one of the reasons that we are in debt. Do not cheat and use your $1,000 to fund vacations, minor things that can wait until you are out of debt, things that can be saved for and paid with cash, and others. What Happens If You Have A Large Emergency? So, what happens if you have an emergency that costs more than $1,000? While these are very rare when you honestly look at events, large emergencies may happen. Car engines, transmissions, extended hospital stays, and the like can wreak havoc on any budget and emergency fund. You may still find yourself with other options rather than going back into credit card debt to handle these situations. You may not like the alternative that you are forced into choosing such as taking public transportation instead of buying a new car. In many cases, hospitals can help you set up a payment plan to allow you to pay for large uninsured procedures over time. These payments would be added to your debt to be tackled in Baby Step 2 with your debt snowball. There are options out there for the large infrequent events that challenge your $1,000 emergency fund. The key is not to slip back and relapse into a life that you were living which found you in debt in the first place. You may still find yourself with other options rather than going back into credit card debt to handle these situations. You may not like the alternative that you are forced into choosing such as taking public transportation instead of buying a new car. In many cases, hospitals can help you set up a payment plan to allow you to pay for large uninsured procedures over time. These payments would be added to your debt to be tackled in baby step two with your debt snowball. There are options out there for the large infrequent events that challenge your $1,000 emergency fund. The key is not to slip back and relapse into a life that you were living which found you in debt in the first place. 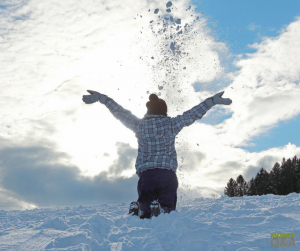 The second baby step is to list your debts in order, make the smallest debt your first priority, and pay off all of your debt besides your mortgage using the debt snowball method. This is a psychological method in the sense that by paying off the first debts with the smallest balance, you will be motivated to pay off the rest. This is typically contrary to many popular opinions on paying off of debt which recommends paying off the debt with the highest interest rate first instead. A debt snowball is a well-known method that is used to eliminate all of your debt. This method was made popular by Dave Ramsey in his personal finance book, The Total Money Makeover. The method requires you to deal with the smallest amount of debt first and then move on to the next smallest and so on and so forth until all of your debts are completely paid off. Dave Ramsey instructs his followers to get rid of all of your debt except your mortgage which you will tackle in Baby Step Six. How Does a Debt Snowball Work? 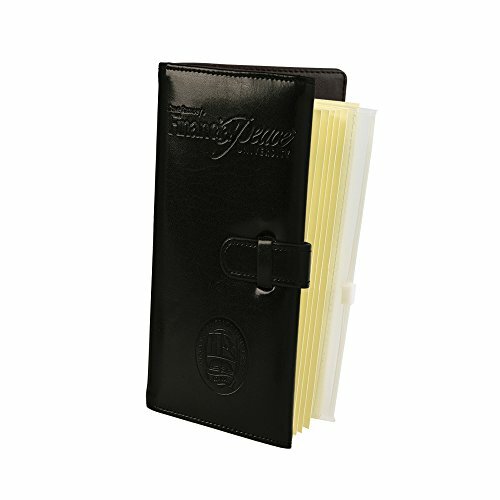 Grab a piece of paper and list all of your debts owed. Make sure you list them by the balance that you owe from smallest to largest. Now, you throw all of your disposable income into paying off the debt at the top of your list, the smallest debt, first. Determine how much money you can put towards this smallest debt and keep putting money towards this debt until you have paid it off, no matter how long this takes. For all of your other debts, you continue to pay the minimum payments that are due on them. Do not become late on any of your debts if you can help it. Once you have paid off your first debt, then you add the amount of money that you were paying on that debt and tackle the next one on your list. When you take that amount and the minimum you were already paying on that debt, you will see more money become available to put towards paying off your debt. That is why it is called a debt snowball. It keeps rolling downhill and keeps getting bigger as you pay off more debt. You add your extra payments to the next debt where you are already paying the minimum balance. It has a compounding effect that is very powerful. Now, you just repeat this process until you have paid off all of your debts on the list. Why Pay Off the Smallest Debt First? Many financial planners will tell you to tackle the debt with the highest interest rate first. This will give you more bang for your buck so to speak. 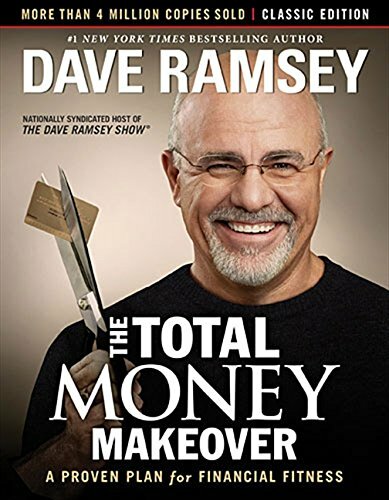 Dave Ramsey prefers tackling small debts first in The Total Money Makeover. This can give you some very quick wins and help you gain momentum. As the snowball effect as it gains more momentum, the process picks up more steam. His argument is that paying off debt is just as much a mental exercise as it is a physical debt repayment. You need those easy wins of small loan balances to pump you up and get you excited about rolling those debt payments into new, bigger loans that you need to pay off next. It is quite a satisfying feeling of getting rid of small loans that are like ankle biters that you never have to deal with again. Is one plan better than another? Maybe there is one that is better. But, what you should realize is that the best repayment plan is the one that you stick to and finish. It may not be the plan that saves you the most money in interest payments. Attacking your highest interest debt will be all for naught if you fall right back into debt immediately afterward or, even worse, if you never complete your debt snowball and stay in debt because you are continually frustrated with your lack of success paying off your debt. The best debt repayment plan is the one that works for you and your family. The further down the list you move conquering your debts allows you to have extra money that will be paid towards the bigger debts as well. It is based on humans psychology in the sense that as you start to pay off debts you will feel encouraged and your enthusiasm will increase to pay off even more debts. It is important to remember that paying off your house is not considered in the debt snowball. So, do not add paying off your house to this list yet. In Dave Ramsey’s personal finance book, The Total Money Makeover, he leaves paying off your house to the end of his baby steps. Reduce your total credit card payments by up to 30% to 50% with Debt.com. A lot of other financial experts recommend people paying off the debt with the highest interest rate first. This makes sense when you think about it. If you had two debts of $10,000 each, one credit card with a 10% annual interest rate (Card A) and a second card that charges you 15% interest (Card B), it will make a lot of financial sense to tackle the debt with the highest interest rate first. In our example, Card A will charge you $1,000 in annual interest over the course of the next year while Card B will cost you $1,500 in interest. So, if you can pay off Card B first, then you have the potential of saving $500 that you would have spent in interest payments. Foregone interest payments can be then rolled into quickly paying down the rest of your debt. The Total Money Makeover and Dave Ramsey’s baby steps have helped millions of people get out of debt. The debt snowball is one of the key pieces of the puzzle. There are a couple of thoughts on how you should pay off your debt. Should you pay off your debts with the lowest balance or highest interest first? Do you pay off your credit card and other debt by throwing all of your available resources and free cash flow at the debt with the highest interest rate? Or, do you attack the credit cards or lenders with the lowest balance first? While many financial planners can argue both rationales, you should know the differences so that you can make the best decision for yourself based on your individual circumstances. A vast majority of financial experts recommend people paying off the debt with the highest interest rate first. This makes sense when you think about it. So, if you can pay off Card B first, then you have the potential of saving $500 that you would have spent in interest payments. Those foregone interest payments can be then rolled into quickly paying down the rest of your debt. Dave Ramsey is one of the biggest proponents of paying off your smallest debt first regardless of the interest rate that the lender is charging you and saving your largest debt for last. This is one of the prime components of his debt snowball that he discusses in his book, The Total Money Makeover. His argument is that paying off debt is just as much a mental exercise as it is physical debt repayment. You need those easy wins of small loan balances to pump you up and get you excited about rolling those debt payments into new, bigger loans that you need to pay off next. It is quite a satisfying feeling of getting rid of small loans that are like ankle biters that you never have to deal with again. There are a couple of thoughts on how you should pay off your debt. Should you pay off your debts with the lowest balance or highest interest first? Is one plan better than another? Maybe there is one that is better. But, what you should realize is that the best repayment plan is the one that you stick to and finish. It may not be the plan that saves you the most money in interest payments. The envelope system to budget is well-known for helping people jumpstart their finances and get back on track to meet their personal financial goals. But, people who haven’t tried it are often reluctant to do so because it requires a bit of planning, preparation, and self-restraint for it to be successful. The envelope system is THE budget method that Dave Ramsey recommends. Whether you’re recovering from impulsive spending, blowing your budget, or you simply want to start from scratch when it comes to financial management, here’s how the envelope system can work for you. To get started with the envelope system, you need to have a functional budget that accurately reflects your current expenses (including debt repayments, which may require online auto-payments from your checking account instead of strictly cash). Once you’ve reviewed your budget, divide your expenses into different envelopes and put the amount of cash you’ve allocated for each category into their own respective envelopes. If you’re paid twice per month, then you could put 50% of the allocated amount after each paycheck. This is, of course, unless it’s an irregular or one-time expense; adjust your budget and cash allocations accordingly if this is the case. For example, if you get paid twice per month and budgeted $300 for groceries each month, then you should put $150 into the envelope after you receive each paycheck. If you spend $100 on groceries in the first week, then you’ll only have $50 leftover for the second week, so it’s important to be mindful of your spending habits while using the envelope system. Setting up a budget isn’t difficult. Sticking with your budget is the truly challenging part, especially when it comes to the envelope system. Failure typically happens when you’re not careful about your spending and you need to revert back to credit cards to cover yourself until the next pay period. Even financially savvy budgeters may struggle with living within their means sometimes because it’s all too easy to give in to the “treat yourself” mindset and splurge a little here and there (not realizing at the moment that those “small” purchases really add up over time!). For this reason, the envelope system is truly one of the best ways to budget without going overboard because you cannot spend money on something if there’s no cash in the envelope designated for that kind of purchase. If you ever have leftover cash at the end of the month, consider putting that extra money into savings so you can eventually afford that major purchase you originally planned to put on a credit card instead. Alternatively, you could invest that extra cash to make even more money over the long-run, rather than indulging in short-term pleasures like mini shopping sprees or an expensive meal to reward yourself for saving. The envelope system won’t be easy in the beginning, but it is possible and critical to follow Dave Ramsey’s baby steps from The Total Money Makeover. Now is the time when you are working on baby step 2 and into baby step 3 to use the envelope method to help you stick to your monthly written budget. So many people dread the thought of budgeting – even though we all know how important it is to track our expenses on a regular basis! The phrase “easier said than done” generally applies when it comes to creating/following/revising personal budgets, but not anymore: budgeting can actually be fun, thanks to Dave Ramsey’s EveryDollar app. Whether you’re already a fan of Ramsey’s Total Money Makeover or you simply want to experiment with new ways to allocate your income and track your expenses more efficiently, there are several good reasons why you should consider the EveryDollar app from Dave Ramsey. The basic premise of the EveryDollar budgeting program is to help everyday people like you and me get a better grip on our financial well-being. This app draws from the wisdom of the Total Money Makeover Full Disclosure: We earn a commission if you click this link and make a purchase, at no additional cost to you. program, which encourages people to establish an emergency savings fund of $1,000 as soon as possible as its first step to personal prosperity. The problem with budgeting is that not only do people find it demotivating at times (understandably, tracking how much money you spend isn’t nearly as exciting as spending it), but also, budgeting can be downright confusing! Don’t even get me started on people who try to budget while living with irregular incomes – it can be a nightmare if you aren’t equipped with the right tools to guide you towards success. Fortunately, the EveryDollar app is incredibly useful in this regard. It costs users absolutely nothing to create unlimited budgets, track transactions against your current budget, and seek quick assistance through email support if you experience any issues along the way. This makes the EveryDollar app a relatively stress-free experience compared to traditional budgeting methods that demand lots of paper, meticulous recordkeeping skills, and complicated spreadsheet analyses. A common problem people encounter in the earlier stages of creating and sticking to a budget is the inability to visualize a future without debt. If you’re stuck in a rut and keep getting notifications from your credit card companies and loan providers about upcoming payments, low credit availability, or even missed payments, then you might feel so stressed out by the whole process that you quit to give yourself a mental break. Once again, the EveryDollar app comes to the rescue to folks who are frustrated with the whole process of budgeting by giving you access to easy-to-navigate tools and visualization charts, which will help you see how much progress you’ve made so far. Perhaps you won’t be debt-free or have a fully-funded emergency savings for a while, but being able to see how much progress you’re making might just give you enough motivation to keep pushing towards the finish line. You can even visualize a breakdown of your monthly expenses, which follows the “give every dollar a name” strategy outlined in Ramsey’s Total Money Makeover program. It’s not enough to know you’re spending less money than you’re making. You should track where each and every dollar is going so you can locate areas in your budget where you might be overspending without realizing it. Once you do this, you can finally eliminate those wasteful expenditures once and for all in order to clear the way for more responsible financial moves, like achieving debt-free living or saving for retirement. If you want more personalized options – like call-back support and financial coaching sessions – then you might want to consider upgrading to the EveryDollar Plus plan, which costs just $99 per year. The Plus plan also lets you connect your bank account to the app in order to track expenses more quickly (and automatically), in addition to viewing each of your account balances directly on the app’s dashboard (bank, credit cards, loans, etc.). If you’re not sure whether the EveryDollar Plus plan would be useful in your situation, then luckily you can try out the service free-of-charge during a limited trial period after you sign up for the regular EveryDollar app. There’s no such thing as the perfect budgeting app, but Dave Ramsey’s EveryDollar app comes pretty close! There is nothing to lose when it comes to using this budgeting software (which is available for both iOS and Android platforms), and so much to potentially gain from regularly using the app to check on your financial health. If you’re ready to revamp your approach to budgeting with proven personal finance strategies, then you really can’t go wrong with the EveryDollar app. The only potential downside is you might look back and wish you started using this app sooner! Baby Step 3 – What Is A Fully Funded Emergency Fund? Most financial planners, Dave Ramsey included, recommend that you have an emergency fund that has three to six months of living expenses. This is one of his core tenants in his book, The Total Money Makeover and it is Baby Step 3. Recently, I have been seeing many people saying that your emergency fund should be three to six months of your income, but that will actually equal a little more than you really need. Your initial goal should be three to six months of living expenses which will obviously be a little less than your total income. If you have a real emergency or are out of work for an extended period of time, it is assumed that you will stop spending money momentarily on certain activities such as investing for retirement, eating out at restaurants, and other non-essential things. That is why you can get away with saving expenses and not your total take home paycheck. Three Months Or Six Months In An Emergency Fund? Why do financial planners give people a range of three to six months worth of savings in an emergency fund? One thought is that you can potentially save less for your emergency fund if your job security is very certain. For example, many government workers have excellent job security. They could arguably survive on a smaller emergency fund that other people with less job security. If you are self-employed, you may need to save more than six months in an emergency fund in order to feel secure. These are just rules of thumb, and you should save as much money as you need in order to provide you and your family with security and peace of mind. If that means that your emergency fund is over six months worth of your take home pay or closer to one year’s worth of living expenses, then that is okay to hold an amount that will help you sleep at night. Where Should You Put An Emergency Fund? I have touched on this topic a little bit before. You should have your emergency fund saved in a money market or savings account that is secure, FDIC insured, and liquid. You do not want to invest your emergency fund. You want to be able to have access to your emergency fund if there is truly an emergency. I know that money market accounts and savings accounts are not earning very much in the way of interest rates, and it can be fairly depressing to have $10,000 or $20,000 in a fully funded emergency fund just sitting idle and not earning a decent rate of return. Most financial planners recommend investing in stock and mutual funds with money that you will not need to use in the next five years. The problem with emergencies is that you never know when they will crop up. They have a bad habit of always happening when they are least expect and often when you can least afford it. That is why it is very important to not have your emergency fund in mutual funds and other investments. You want to be able to have access to your money in an emergency. You want your funds to be very liquid with little to no time or cost associated with pulling that money out of your emergency fund. Many people have the urge to invest that money into an investment that earns a little be more rate of return. But, you should not have your emergency fund locked up in mutual funds or certificates of deposit that will penalize you for withdrawing your money in an emergency. These are long-term investments, and they should be viewed as such. These investments are not a place for your emergency fund. Bite the bullet and leave your emergency fund in a place where you can get to it very easily and forgo those few percentage points. Now that you have paid off all of your debts, you should have a large amount of disposable income that you can rapidly complete your emergency fund. You already have $1,000 in your emergency fund from Dave Ramsey’s Baby Step 1. Now, it is time to take the money that you were paying on your car loan, credit card bills, and other debt and put it towards completing your emergency fund. You need a fully funded emergency fund of three to six months of your living expenses set aside for a rainy day. Doing so will help you never to fall into the debt trap again. This is Dave Ramsey’s Baby Step 3. Once you reach the Dave Ramsey Baby Steps four, you will have a substantial emergency fund and no payments on your debts except your house. Now Dave Ramsey’s Total Money Makeover says that you should invest 15% into Roth IRAs and pre-tax retirement investments. Remember no more or no less than 15%! Dave Ramsey has other plans for your money as well as he leads you to financial peace. Baby Step 4 in Dave Ramsey’s best-selling book and system, The Total Money Makeover, is to invest 15% of your gross pay in good growth stock mutual funds. While it is just a rule of thumb, he recommends 15% of your gross pay and not your net pay which means that you calculate the investment before taxes. So, for example, if you earn $60,000 per year, you should be setting $9,000 aside in either a Roth IRA if you qualify for one, your employer’s 401k especially if they have a matching contribution program, and then in taxable accounts through stock mutual funds. Dave Ramsey is especially fond of growth stocks thanks to their historic rate of return. The stock market has been struggling lately, but over the long term of almost one hundred years, the stock market has provided an excellent investment. What Should You Invest Your Money In? So, now that you know how much money you should be saving every month from your paycheck, then the ultimate question becomes where to put it? This is a problem that many people dwell on. Should you invest in individual stocks, bonds, mutual funds, or your company’s 401k? What about Roth IRAs? If you stick strictly to the Dave Ramsey baby step method that he outlines in The Total Money Makeover, he recommends buying good growth stock mutual funds to help you build your nest egg for retirement. You should have a well-diversified portfolio of stock mutual funds that include international stocks, mid-cap, small-cap, and large-cap or capitalization companies. For most people, using a Roth IRA is one of the best tax advantages that you can find. By using after-tax dollars in a Roth IRA, you can withdraw your investment and its earnings tax-free in retirement. Another investment that you should use first is a 401k if your company matches your contributions. Many employers match the first 3% of the investment that you make in a 401k. Not taking them up on that offer is essentially throwing away a 100% rate of return. There is actually a rhyme to the reasoning as to where the 15% comes in. Dave Ramsey recommends 15% no more and no less. Investing more could hinder you from completing the next baby steps of funding your children’s college education and paying off your home mortgage early. Other things that are taken into consideration are the average rate of return for the stock market, inflation, how large a nest egg you will need to have in retirement, how many years you will invest before retirement, and how much of your nest egg you will withdraw. This baby step helps you learn to save for your children’s college education with a 529 College Saving Plan. Like a Roth IRA, a 529 College Savings Plan allows you to make after-tax contributions and withdraw the contributions and earnings tax-free for educational expenses, tuition, room and board, fees, and other education needs. Dave Ramsey, the financial guru that banks and creditors alike fear, has a plan that is going to help people in getting to enjoy their debt-free life, save money, invest for the future and your children’s college, save for college, and live the life you’ve always dreamed of living. Baby Step 5 of his book, The Total Money Makeover, helps people understand how to plan and help them in getting to enjoy their lives and know their kids are able to go to college. Baby Step 5 is one that helps people build up their college funds for their kids. While this may not seem like a hard thing to do, it actually can be very difficult if you don’t plan for it. A college savings plan helps us enjoy knowing that college will be paid for and help avoid them from having the panic attacks when the college tuition comes due or saddling our children with student loan debt for the first couple of decades of their lives. A 529 college savings plan account is one of the most recommended ways for people to start saving for their children’s college education. A529 College Savings Plan is an investment with tax advantages that are designed to encourage savings for future education expenses like tuition, books, uniform, and other educational expenses. Profits earned in these programs can be withdrawn tax-free assuming that they are used for qualified higher education expenses. Setting up a 529 college savings plan is very easy to do. Most states have their own plans, which help parents save on state taxes too. You don’t have to sign up for the 529 college savings plan in the state where you live. There are others that are better and have cheaper fees. But, it may be worth looking at the state where you live first if you pay state income taxes. Not only that these 529 college savings plan set up specifically for college education expenses, but you can also transfer the benefits amongst your children or even use the investment yourself. Just make sure that you’re making qualified purchases for educational expenses to avoid paying penalties. Coverdell Education Savings Accounts are another great tool that parents can use to save for college expenses and avoid student loan debt when it comes time for your children to attend college. While most people may think that 529 College Savings Plans are going to be the best option, you should look at other options and plans that are available. These plans can easily help parents start saving for college. A Coverdell Education Savings Account is a tax-advantaged investment designed to encourage savings for future education expenses like tuition, books, uniform, and other educational expenses. Like a 529 College Savings Plan, Coverdell Education Savings Accounts (ESA) allow money to grow tax-deferred and profits to be withdrawn tax-free for qualified education expenses at a qualified institution. Qualified expenses in an ESA include primary and secondary school and not just costs from a college or university. It is important to note that people will need to make sure they know about the different interest because these are going to vary. So people need to make sure they know about the different cost and aspects of Education Savings Accounts (ESA) to ensure they know which one is right for your specific situation. If you have any questions, you should consider getting a consultation with a fee-only Certified Financial Planner (CFP). Getting out of debt is going is the first step in Dave Ramsey’s baby steps from his book, The Total Money Makeover, but once you’re out of debt, you need to stay out of debt. Planning for college using Dave’s Baby Step 5 can help you invest for your children’s college and keep you from getting right back into debt. Baby Step 5 makes it easy for people to get the right savings in place for their child’s college education. Now you are getting to the final stages of The Total Money Makeover, and it is time to pay off your house early. All your extra money after investing and saving for college should go towards paying your mortgage off. Once you start to pay off parts of your mortgage, you will gain momentum and be well on your way to financial peace and independence. If you have gotten this far in Dave Ramsey’s get out of debt lifestyle change, then you are ready to for the biggest baby step of them all — paying off the mortgage! The interest on a mortgage is staggering. If you look at it this way, that $250,000 house can turn into a $500,000 albatross payment over time depending on your mortgage payment, interest rate, length of the loan, and other factors. It honestly can sink you if you return to any of your old financial debt habits, such as increasingly relying upon credit cards. But, it doesn’t have to be that way. Dave Ramsey’s Baby Step 6 is to pay off your mortgage early so you can live debt free. By now you have paid off credit cards and built your emergency savings fund. That means a lot of money has been freed up, not to spend willy-nilly. Instead, toss this money at your mortgage. According to the Dave Ramsey Baby Step 6, use all the extra money at the mortgage that you can handle. Here’s why. Mortgages are the most expensive debt we all carry. At an interest rate of even 3%, it is a lot of money that gets tacked on in interest every month and year. That means that for every month you make the payment as required according to your loan, you are handing over a lot of money to the bank in interest payments that you will never see again. There are ways to pay off your mortgage even faster. Here are a few that you can use to help you tackle your mortgage debt in baby step 6. For one, you can refinance your home loan to a fixed rate 15-year mortgage. That will force you to pay it off in 15 years, and save you a lot of interest. Another option, you can double the monthly payments, and you will save sizable on the interest. This is what the debt freedom journey is all about, right? It takes a plan to tackle baby step 6 along with some patience and dedication. It takes more dedication to take on this baby step than any other because of the sizable time and financial contributions that it will take to accomplish baby step 6. Being free of the big mortgage every month is well worth your time. It does require creativity and a thorough commitment that you have to build up by paying down your credit cards and other revolving debts. Either way, paying off the mortgage early sure beats taking 30 years in total. Getting the right mortgage will make all the difference in being able to make this dream a reality. The next task on your list is going to be envisioning and planning your mortgage note burning party. How do you imagine it? Envisioning how you will feel once you make that last payment as this makes a great suggestion to your subconscious mind to make it all a reality. Will you be smiling, celebrating, and jumping for joy? Probably, and it will pay off well if you start seeing yourself doing that now. Make a game of it to see how fast you can pay off your mortgage. Now you are in the final steps of the Dave Ramsey Baby Steps, it is time to build wealth and give, leave an inheritance for your children or the ones you love, and help others with the money you have built up. This step is the final one and always ongoing. There’s nothing wrong with wanting a better life for yourself and your family. Pursuing higher pay and better investments can bring you many benefits. But, once you attain a higher standard of living, it’s important to give back to those who truly need. Building wealth and giving back to your community is a popular money habit among the wealthy and middle class alike. You’ll not only secure a financially stable future for your family, but you’ll also develop a long-lasting, honorable legacy among your favorite charitable causes. By donating what you can to ensure other people, animals, and other parts of the world can thrive, you’ll be remembered in a much more favorable light than the other guy who hoarded all his funds until the day he died. Winston Churchill once said, “We make a living by what we get, but we make a life by what we give.” In other words, trying to make money so we can get by and afford the things we need and want is a normal part of living, but for a truly meaningful life, giving to others can be transformative. The point of building wealth isn’t just to stockpile enormous amounts of money for your own benefit. Instead, building wealth should incorporate more charitable giving to help you leave a positive legacy in your community and the world at large. Nobody will remember much about your investments when you pass away, but many people will remember how you donated time and money to needy individuals and organizations. I’ve also talked multiple times about why I’m a big fan of giving back to your alma mater. Did you know that Harvard University researchers found that money can buy happiness? Interestingly enough, this psychological study found that increased rates of happiness were expressed primarily by folks who had given money to others, rather than using that money on themselves. Even instances of giving as little as $5 to someone else showed a small boost of happiness and well-being for the giver, which means that giving money to others who need us could be a win-win situation. Donating to charities is one of the many gifts that keep on giving. Not only can you access the psychological (increased happiness) and financial benefits (tax deductions), but you’ll also be leaving a positive legacy with some of your most cherished causes. Whether you want to support education by donating to your alma mater, improve the quality of life for animals in need by donating to wildlife protection organizations or local animal shelters, or finance scholarships for lower-income children in your community to attend college, there are thousands of different charities that could use your help. To determine which charities are the most legitimate and helpful for the recipients of their items and services, be sure to research different organizations on Charity Navigator before making a sizable donation. This website rates charities based on their financial efficiency (e.g., does more donation money go towards charity administrators or actual people, animals, and environments in need? ), transparency and accountability (e.g., do they publish records of their donations and administrator pay? ), and available programs. Make sure that you have a will. You want to ensure that your heirs distribute your wealth exactly how you want. Many people seem to think they don’t need a last will and testament, but this legal document is crucial for ensuring your money is distributed exactly as you want it to be after your passing. With this document, you’ll be able to determine who will execute your will, rather than letting the courts decide. Another advantage is that you can specify who gets what of your personal property and real estate holdings, which ensures you can give the highest value items and properties to people who you believe truly deserve them. What about you? Are you a Dave Ramsey fan? Which baby step are you on? Do you have a money question that you would like to ask? 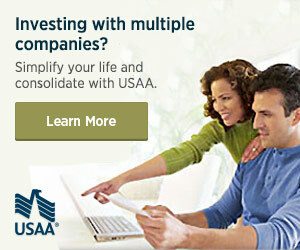 Email me your money, investing, retirement, savings, or other question to Questions [at] MoneyQandA.com. If I pick your question for the next article in the series, I’ll send you a free copy of Dave Ramsey’s book, The Total Money Makeover. I love this book too! It got me highly interested in my own finances. I really like how he “ignores the numbers” and says to tackle the smallest debt first to build up motivation and momentum so that you can stay consistent. I might have to re-read this one now. A great book, it’s one of my favorite. I don’t have any debt right now and some of it doesn’t apply to me, but most of the advice makes a lot of sense. I’d pay the high-interest debt first, that I would do different, but paying even smaller balance debt first is a great idea, as long as you are paying it off.